Arm photon torpedoes by adding the U.S.S. 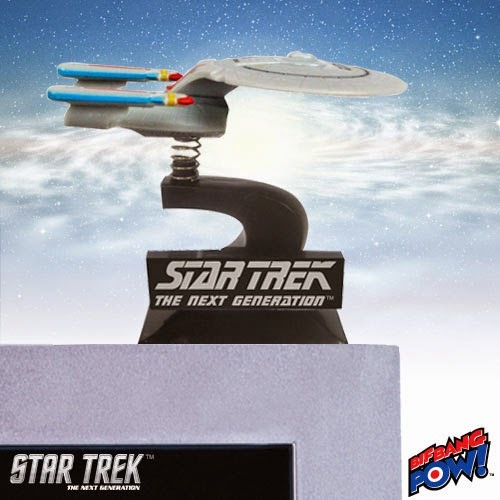 Enterprise to your desk with our Star Trek: The Next Generation U.S.S. Enterprise NCC-1701-D Monitor Mate! Inspired by the NCC-1701-D starship from Star Trek: The Next Generation, this miniature bobble ship will bring your monitor to the final frontier! Crafted of PVC plastic, the Next Generation bobble starship measures about 2 5/8” long x 1 7/8” tall (including the base) x 2” wide.